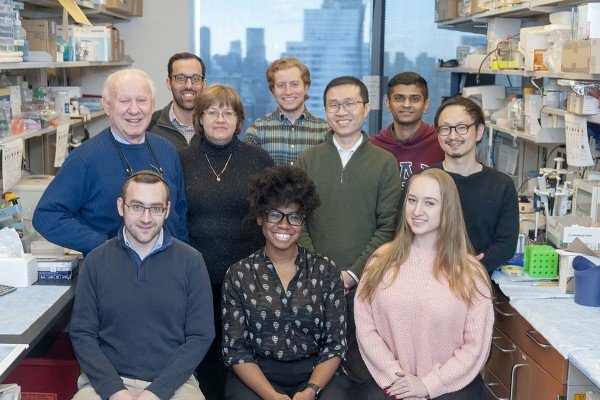 Ronald Blasberg’s laboratory in the Molecular Pharmacology Program focuses on the development of preclinical, noninvasive, multimodality reporter-gene imaging and its translation into a clinical application. These approaches utilize modern molecular biology, cancer biology, and imaging (MRI, optical imaging, PET, and SPECT) techniques. Huang R, Vider J, Kovar JL, Olive DM, Mellinghoff IK, Mayer-Kuckuk P, Kircher MF, Blasberg RG. Integrin αvβ3-targeted IRDye 800CW near-infrared imaging of glioblastoma. Clin Cancer Res. 2012 Oct 15;18(20):5731-40. doi: 10.1158/1078-0432.CCR-12-0374. Epub 2012 Aug 22. Serganova I, Rizwan A, Ni X, Thakur SB, Vider J, Russell J, Blasberg R, Koutcher JA. Metabolic imaging: a link between lactate dehydrogenase A, lactate, and tumor phenotype. Clin Cancer Res. 2011 Oct 1;17(19):6250-61. doi: 10.1158/1078-0432.CCR-11-0397. Epub 2011 Aug 15.